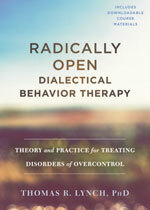 Hope Arnold, LCSW, MA is a Senior Clinician and one-day Trainer in Radically Open DBT (RO DBT). She began her RO DBT training with Dr. Tom Lynch, treatment developer, in 2016. Hope continues to attend intensive trainings throughout the country and receives regular supervision from Dr. Tom Lynch and Dr. Sophie Rushbrook with the Senior Clinician team. Hope is involved in computer app development for Radically Open, Ltd organization. She also writes a blog for PsychCentral on RO DBT topics called Radical Hope. In her clinical work, Hope is the founder of RO DBT Denver in Denver, Colorado, a center dedicated to evidence-based care and treating disorders of overcontrol. She specializes in personality disorders (Obsessive Compulsive PD, Paranoid PD, Dependent PD, Avoidant PD), eating disorders, female autism, and treatment-resistant disorders (depression and anxiety). Prior to opening RO DBT Denver, Hope was in private practice at the DBT Center of Houston and was the RO DBT Lead Clinician. She led a team of six clinicians intensively trained in RO DBT and supervised the team member’s skill development. Hope completed her Intensive Training in DBT and Prolonged Exposure Therapy through Behavioral Tech. Hope is also trained in Jungian Therapy, Cognitive Behavioral Therapy, and Cognitive Processing Therapy. Hope graduated from Loyola University in New Orleans with a BBA in marketing. She worked for two of the largest private financial and consulting firms in the world before transitioning to being a clinician. 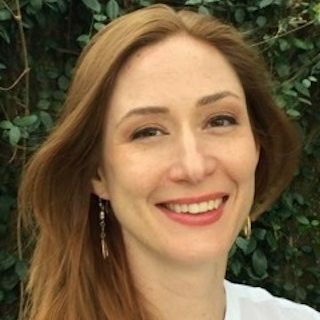 She has master’s degrees in social work from the University of Houston and psychology from Saybrook University with a concentration in Jungian studies. Hope has presented at the local, national, and international level on topics related to Dialectical Behavioral Therapy, Radically Open DBT, and Jungian Analysis and Theory.